Custom-designed for B&H, the iSeries 3i-1209-4-BH3 Waterproof Case from SKB features a custom foam interior designed to accommodate up to two Rode Newsshooter wireless mic systems, including two TX-Belt wireless transmitters, two RX-Cam wireless receivers, one TX-XLR handheld mic transmitter, and one Reporter handheld interview mic. It also features a large accessory pocket for lavalier mics, cables, and more. 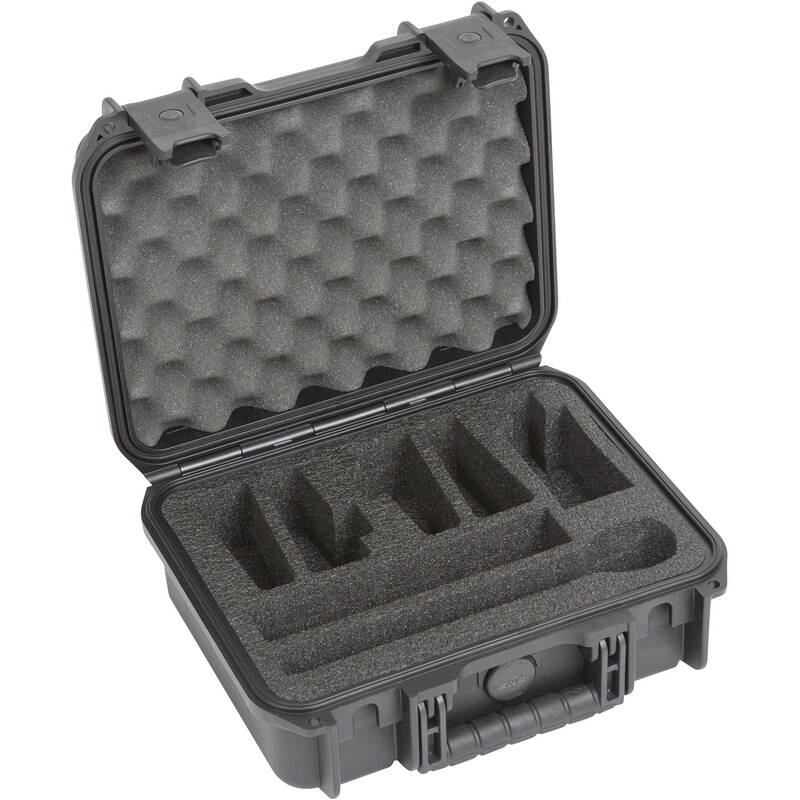 Lightweight (at 3.6 lb), the injection-molded waterproof case is constructed from high-strength polypropylene copolymer resin, and is equipped with a built-in gasket for an airtight and submersible seal (IP67-rated). Furthermore, the case resists corrosion, solvents, fungus, and impact damage. The molded-in hinge, trigger-release latch system, snap-down rubber over-molded, cushion-grip handle, and automatic ambient pressure-equalization valve all contribute to its military-grade design. Box Dimensions (LxWxH) 13.5 x 11.7 x 5.7"
iSeries 3i-1209-4-BH3 Waterproof Case for Rode Newsshooter Wireless Mic System is rated 4.3 out of 5 by 4. Rated 4 out of 5 by Danny W. from If you have more than one mic pac this is a lifesaver. The thin foam between the mic and storage section is weaker than I would have liked. However, It is still a great box. Pro-tip, Get some pill bottles (see image) for the Lapel mics or keep the mics in the bags provided. The seal is so tight that I accidentally cut a wire hanging out. Rated 3 out of 5 by James from Good case missing slot This case is great. However it needs an additional TX space to make it great.